Parents and carers can have a big impact on their children’s education. By providing learning opportunities and support at home you can help encourage learning from an early age, right through to high school. Here are some fantastic literacy tips and inspiring ways parents and carers can be more involved in children’s learning. Turn off the TV and devices and read for half an hour. Talk about what you are reading and/or read with your child, depending on the age group. Sitting in the same room and reading independently can send strong messages about enjoying books. Help your children borrow books and borrow yourself. Talk about your choices (authors, topics, book types) on the way home. Have a range of books available in your home to read anytime. 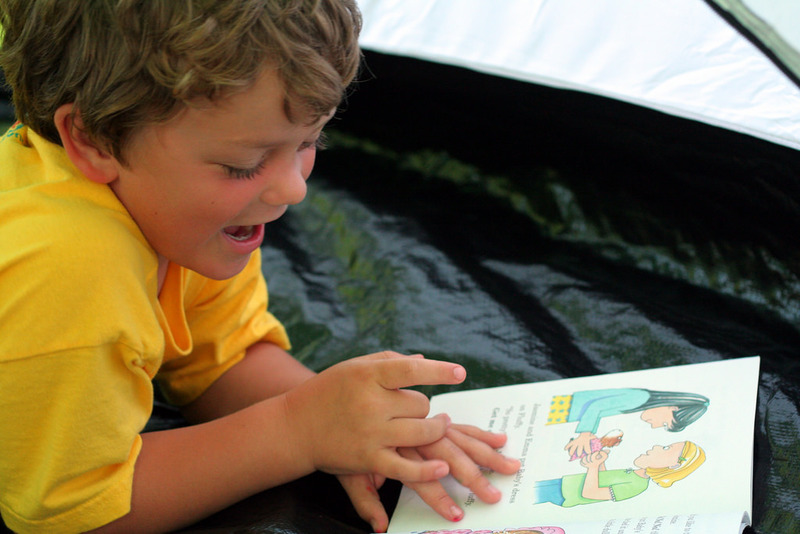 The Learning Potential website has helpful tips on choosing books for your child. Compose greetings together for birthdays and other special occasions, whether a card, letter, email or a puppet play. Arrange for a family member or friend living away from you to correspond with your child via mail or email. Even young children who may need help reading the letters/emails will enjoy receiving and sending correspondence. Friends and family will love receiving a return letter or email from your child! Talk to your children about family events, trips, and local and national news events that are appropriate for their age. A strong vocabulary is important for oral language, reading and writing. You don’t need to be an expert on each task. You can support your child to think through how they should plan their time and complete the task. Just being there, expressing an interest and saying you want to help can make your child feel supported. If you struggle with reading or writing, or have a language background other than English, use the support that is offered through the school, local library or community centre, or contact the Reading Writing Hotline. Talk to friends and neighbours who may be happy to read to your child, share books or talk about what they are reading. Try to have a family night and watch something suitable together and talk about the show afterwards. The program might create an interest for future reading or research into a topic. There can be lots of talking, reading and writing involved when planning and participating in family events. These include bike rides, cooking, shopping trips, researching for a day out, working in the garden, visiting friends or family, or planning an outing to a cinema, museum or public event. Get your children involved in the process.